On March 25-27 our Business Director, Joppe Nieuwenhuis will attend the 2019 BIO-Europe Spring convention in Vienna, Austria. He looks forward to discuss Batavia Biosciences’ latest services and technologies. 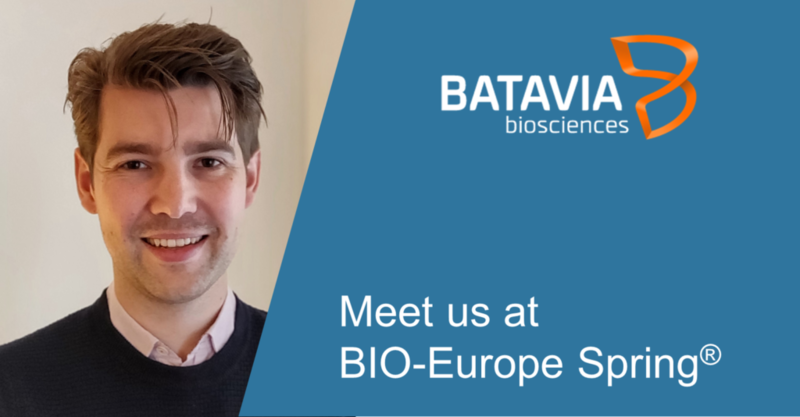 Furthermore, at Batavia Biosciences we are looking for scientific partnerships and grant opportunities in development of technologies that bring biopharmaceuticals quicker and more cost-efficient to those in need.